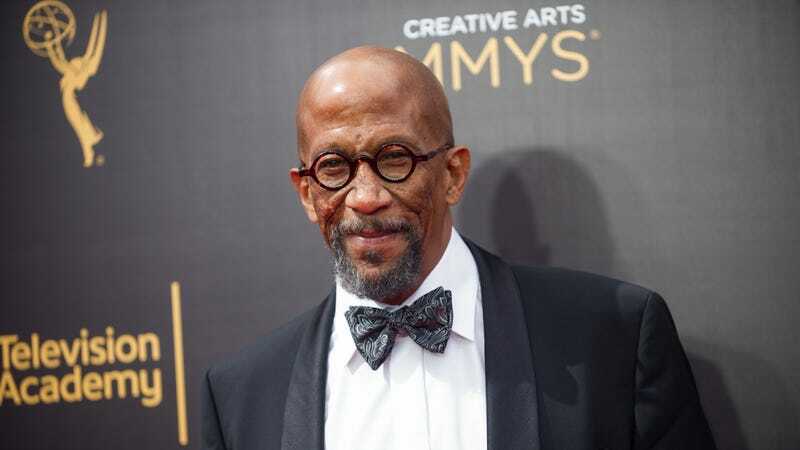 Actor Reg Cathey, whose prolific career spanned everything from The Mask and Tank Girl all the way through some of the most prestigious TV dramas of the 21st century, has died. The news was reported on Twitter by Cathey’s frequent collaborator, David Simon, who cast the actor in his celebrated HBO series The Corner and The Wire. After growing up in Germany, and studying drama at Yale, Cathey made his way into the world of TV and film, scoring his first big break with the Children’s Television Workshop’s math-focused kids’ show Square One. (Nodding to the series’ sketch-based nature, he later described himself as one of the “Not Ready For Prime-Time mathematicians.”) Often tapped to play smooth-voiced cops or criminals—a tendency toward type-casting that he was frequently, and vocally, critical of—Cathey eventually scored a role as a drug addict on The Corner, which put him in Simons’ orbit; he later appeared in the latter seasons of The Wire as Norman Wilson, the hard-nosed adviser helping once-idealistic mayoral candidate Tommy Carcetti keep his head above the political waters of racially mixed Baltimore. Cathey’s other high-profile roles from this period include stints on Oz, Law & Order, and a number of less successful dramas, but he pulled down his most-recognized role in 2013, when he was cast as barbecue wizard Freddy Hayes on Netflix’s House Of Cards. Originally just someone for Kevin Spacey’s Frank Underwood to occasionally be (briefly) nice to, Cathey slowly revealed the justified anger lurking under his friendly persona, outlining the toxicity of even Frank’s most ostensibly positive relationships. Critics were quick to recognize the nuance of Cathey’s take on the character; he earned three nominations for Outstanding Guest Actor In A Drama Series for the role, eventually winning in 2015. Cathey’s most recent regular gig was as the police chief on Robert Kirkman’s Cinemax series Outcast; his other roles of late included appearances on Inside Amy Schumer, Horace & Pete, and HBO’s The Immortal Life Of Henrietta Lacks. Cathey was 59 when he died.